Unless we start reducing fossil fuel consumption drastically and fast, irreversible changes will happen in the Arctic and that will affect all of us. Image credits: Patrick Kelley / Wikipedia. Climate change isn’t happening homogeneously across the world and some areas are affected much more than others. The Arctic is definitely one of the most vulnerable areas in terms of climate change, and a growing number of studies is signaling that the Arctic may be heading for a climate disaster – especially if we continue to extract oil and gas there. “Arctic ecosystems are changing in dramatic ways: the ice is melting, sea levels are rising, coastal areas are eroding, permafrost is thawing, and the areas where plants and animals live are shifting,” said the report developed by the Arctic Council, an inter-governmental forum working to protect the region’s environment.. The report identified 19 “regime shifts” – meaning major, hard-to-predict tipping points – that have either happened already or could happen in the near future. These shifts threaten the stability of the climate and the ecosystems in the area, but can easily have a global effect. The Arctic plays an important role in global climate, so we may be nearing a tipping point where things really start going bad. “The variety of effects that we could see means that Arctic people and policies must prepare for surprise. We also expect that some of those changes will destabilise the regional and global climate, with potentially major impacts. Because the Arctic is so connected to the rest of the planet in terms of climate regulation … the change that we’re sending to the Arctic is likely to be amplified and come back to us,” Carson said. Some changes are sudden and hard to adapt to, making preventive action even more necessary. 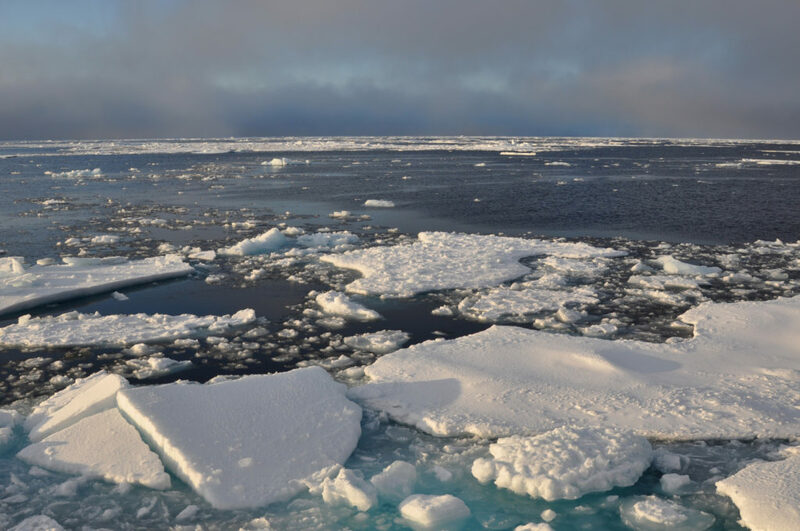 “While some changes, such as warming temperatures, are gradual, others, such as the collapse of ice sheets, have the potential to be not only abrupt, but also irreversible. This means the integrity of Arctic ecosystems is increasingly challenged, with major implications for Arctic communities and for the world as a whole,” the report says. Aside from emphasizing the importance of reducing oil extraction in the Arctic, the report also mentions that local populations also have to play a key role in stabilizing the climate. Some are adapting more than others, with the Inuit of Cape Dorset in Canada’s Nunavut territory changing their lifestyle from that of nomadic hunters to that of artists and craftsmen – selling their products throughout the world for good money. Elsewhere in Iceland, some populations have shifted from hunting whales to tourism for whale watching. But others are hit much harder by climate change. Reindeer herders are struggling everywhere to find ice-covered places, and dropping temperatures are forcing many animals to migrate more and more – making the people who rely on these animals to struggle.